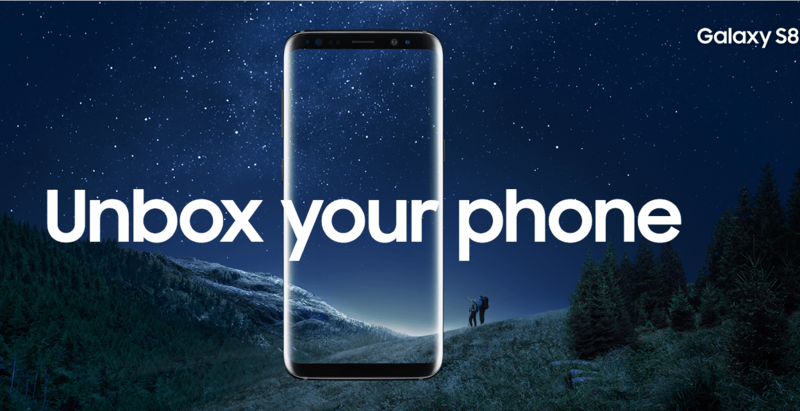 Samsung has finally opened up on the launch date of its flagship phones- the Galaxy S8 and S8+ in India. The South Korean giant has fixed the date as April 19 to launch both the phones in the country. 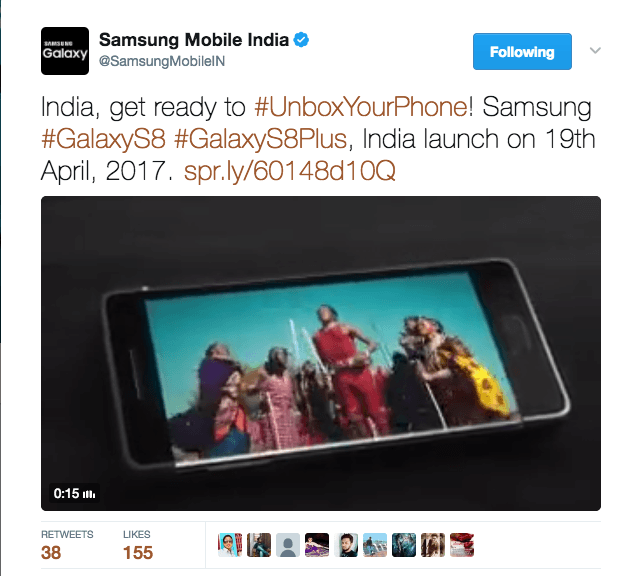 Samsung confirmed the news through Twitter, and the company has already started taking preorders for the phone through Samsung India website. To recall, Samsung launched both the flagship phones at an Unpacked event in New York on March 29 and started taking preorders in some countries such as South Korea. Yesterday, Samsung announced that they had received an excess of 7,20,000 preorders only in South Korea, surpassing the previous record of 4,00,000 preorders set by Galaxy Note 7. Both the phones will be up for sale in South Korea, the US, and some European countries from April 21. Samsung will announce the Indian availability and pricing details on April 19. It might also start taking preorders from other e-commerce sites from the same day itself. No one expected the demand for Galaxy S8 and S8+ especially after the Galaxy Note 7 debacle, but for everyone’ surprise, the phones have already got record preorders, and the same might continue in India as well. Speaking about the specifications of the phones, the Galaxy S8 and S8+ are only differentiated in terms of display and battery capacity. The Galaxy S8 sports a 5.8-inch display, whereas the S8+ comes with a 6.2-inch display. Both the phones come with QHD+ resolution. The major highlight of the phones is the ‘infinity display’ feature. Though the Galaxy S8 and S8+ feature bigger screens; the overall footprint of the phones is equal to the current generation 5.2-inch and 5.5-inch display phones. The Galaxy S8 and S8+ pack top-notch hardware in the form of Qualcomm Snapdragon 835 chipset, Adreno 540 GPU, and 4GB of RAM. There’s 6GB of RAM variant available in South Korea as well, but we firmly believe that Samsung won’t bring it to the Indian market. Also, Samsung will release the Exynos 8895 variant of the phones in India, which is underwhelming. Both the phones feature 64GB of internal storage with support for storage expansion via dedicated microSD card slot. Samsung has used the same 12MP rear camera in the Galaxy S8 duo from the Galaxy S7 but claims that it has made further tuning to the software optimisation and other tweaks to the hardware as well. The Galaxy S8 and S8+ have 8MP front-facing camera. The duo run on Android Nougat based TouchWiz UI on top. The Samsung Galaxy S8 come with a 3000mAh battery unit, while the S8+ has a beefy 3500mAh unit. As of now, there’s no info whether the Samsung Bixby assistant will be available to Indian market or now. Samsung recently claimed that the phones would ship without Bixby’s intelligent features such as scanning a photo to get relevant info, etc., but said that the core voice commands, weather related information can be accessed. The Samsung Galaxy S8 is priced at $720 in the US, and the S8+ retails for $840. Expect Samsung to price both the devices above Rs. 50,000 in India. Our speculations are the phones will be priced at Rs. 59,990 and Rs. 69,990 respectively, but these are just our thoughts. Samsung may launch the DeX dock station in India on the same day. Recently, Samsung has slashed the prices of Galaxy S7 and S7 Edge in India, and they are now retailing for Rs. 5000 less than the original price.